For more significant cases of dry eye, your Montrose eye doctor may recommend punctal plugs. These tiny devices are inserted in ducts in your lids to slow the drainage of tears away from your eyes, thereby keeping your eyes more moist. Your Montrose, CO eye doctors at 1 Hour EyeDocs are proud participants in the InfantSEE program. 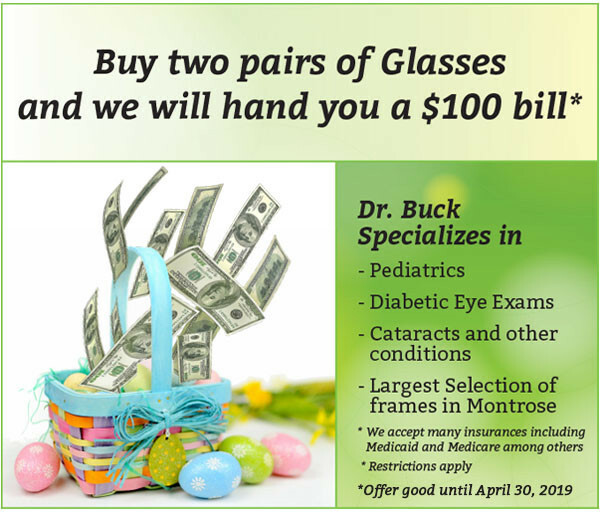 Call our Montrose CO eye care clinic for more information.